Golf is a mental grind. Each shot is taxing, and even the smallest accomplishment can feel like a tiny miracle. The game is difficult, and almost impossible to master. However, for over a decade, Tiger Woods almost mastered it, winning 14 major titles and helping pave the way for young stars to win small fortunes at each PGA Tour event. From 1997 to 2008, Woods won 14 majors by 32 years old. Even though he walked away from his final major win with a bad knee, he appeared destined to shatter Jack Nicklaus’ record of 18 major wins. But that all came crashing to a halt. Personal shaming after he repeatedly cheated on his wife, followed by four back surgeries left Woods’s golf game in a crumpled heap. Only really relevant at small events and fundraisers. 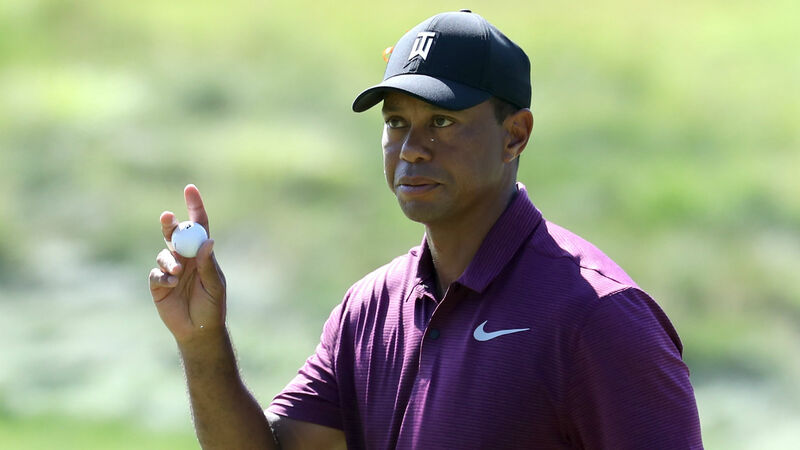 Woods’ fall from grace was more severe than anyone could have imagined. Ever confident, he used to prowl the fairways looking for his next victims. Not worried about “if” he would win, but “how” he would win. In Woods’ prime, his interviews were short and succinct. He wouldn’t give anything away physically or emotionally. Now, Woods is an open book. We know what he’s thinking, what he’s happy with and what he’s disappointed with regarding his game. That openness is inviting to fans, but tells his competition too much. For the first time since 2013, Woods held the lead at a major Sunday at the British Open. But on the 11th hole — a hole he had birdied three times already that week — he walked away with a messy double-bogey, then bogeyed the 12th hole to fall two shots back of a jam-packed leaderboard. Woods timidly hit iron off the tee on 11 (and still missed the fairway), leaving himself with 180 yards from the fescue. He missed the green left, got a lucky break to end up near the green, but was faced with a tough chip. He then tried an awkward flop shot, missed the green and then took three more shots to get in the hole. It’s been a long time since Woods has seen his name atop a leaderboard, let alone in a major, but closing out rounds has been an issue for him all year. Luckily for golf fans, it appears Woods may finally be healthy and more opportunities should arise. One of the silver linings to Woods’ loss last week was earning a spot in the WGC — Bridgestone Invitational, an event he’s won eight times. Woods has exceeded expectations this year. He’s racked up six top-12 finishes while moving up to 50th in the world ranking. His next step will be closing out a tournament. Golf itself is hard enough, but when players are battling against the world’s best players and their own inner demons it becomes that much tougher. Woods is fighting a lot right now, but he’s also the best the game has ever seen. One win could open the floodgates. But the question remains: Can he still get it done?